To all the caregivers who love us as we make bad decisions! A hero uses their heart. Exciting new creative workshops are up on Bremelo’s website! Use discount code: TOGETHERWECREATE at checkout for 20% discount on all classes through Mother’s Day. An experience makes a great gift! In the pic are projects with Sierra Stinson (Ghost Key) and fruitsuper’s fabulous field trip project with their class from Cornish College of the Arts. Thrilled to have the Center for the Study of Political Graphics accept 4 of the posters made by Bremelo Press founder Lynda Sherman and collaborator Leigh Riibe, for the January 21st, 2017 meet in the streets. These posters will be archived and available for research, joining work in the collection by Jenny Holzer, Keith Haring, Gran Fury, and Sister Mary Corita Kent, for our brothers and sisters of the future. We salute you! Such a kick to have our greeting card posted by Chelsea Handler on her Instagram! Check out our Etsy site where it is available for purchase. Another great collabo with the fabulous Kate Murphy and Microsoft Women In Design. Coffee break here at Bremelo Press. JOIN Shop stopped in, picking up new cards and valentines for their brick and mortar, open Tuesday through Saturday 11am - 6pm in Seattle's South Lake Union Neighborhood at 400 Fairview Ave North. What a great time collaborating with Hope of New Orlean's Gutwrench Press and her Keep Writing project. For subscriptions go HERE. "Darling, you look Marvelous" is a collabo with the fabulous Seattle artist Leigh Riibe. Voted by Seattle Magazine as Best New Boutique 2017, JOIN Shop at 400 Fairview is the place to shop for local design and where you will find Bremelo Press letterpress. Thank you for supporting the makers in your community! "When food is a revolution, life tastes better." Happy to have Bremelo Press greeting cards with Sweetgrass Food Co making space and working hard to support real food for real people. Thank you Spark Awesome for the opening quote about food and the importance of how we care for ourselves and each other. We are so grateful for the support and friendship from Bremelo's stock lists! Photo by Kate Murphy. Exit through the gift shop to find Bremelo Press letterpress! If you stop at the Text Me exhibition curated by Debbie Millman at Museum of Design Atlanta don't forget to pick up some Bremelo Press greeting cards on the way out. Thrilled to be found in their gift shop. Thank you Laura for having Bremelo with you in Atlanta! Confession: museum gift shops are a favorite place. So honored to have Bremelo Press as a member and so proud of the hard work of JOIN Design founders Fruitsuper and Melanie Anne Abrantes for bringing us all, 60+ independent designers, together and so great to see the brick and mortar JOIN Shop at 400 Fairview featured in Design Milk. Please join us for King Street Makers Market, a 4 day gift-centric pop-up shop featuring the work of over 45 Pacific Northwest makers. From jewelry, to edibles, to ceramics, to toys, KSMM has a gift for everyone on your holiday list. In partnership with Plank and Grain Co. in Seattle's International District. Working with Kate Murphy and WDG Microsoft, we chose 8 quotes and 1 question 2 times for a series of 10 postcards to be hand set in vintage metal type and printed on a vintage printing press. New card alert! Available from our Etsy site. What is your superpower? Mine: listening. It is a practice of awareness to create space for other voices to claim/exclaim/expand and discover our past/present/future is like our DNA, a long intertwined strand that is all of us. Thank you Kate Murphy for sharing your grace and brilliance with me to amplify our stories by sharing our strengths. Thank you Women In Design, Microsoft, for blowing my mind with the deep talent we have when we work together. 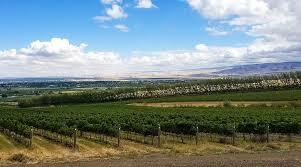 Very excited to be part of Shop Join at Foundry Vinyards in Walla Walla. The grand opening is September 16th. For all our Inland Empire friends and family, mark your calendars, it's going to be a great event in a beautiful location.